In our never-ending quest to keep tabs on the ever-developing software world, we like to throw out surveys and questions to the software/QA world in Israel now and again. This enables us to gauge the current trends and issues that impact our immediate working environment. A few days ago we created a new survey in regards to current Continuous Integration practices in Israel – and the results are now in! 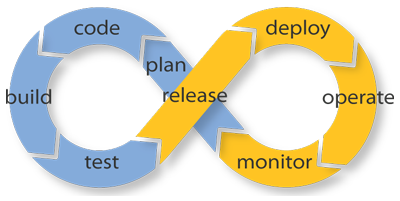 The first question asked Do you use Continuous Integration? The results were clear to say the least – almost 92% of those polled said they were using CI. Interestingly, those who responded No were also asked if they intended to use CI at some point – they all responded No. The next question for those who responded that they were using CI was to reveal the CI tool they use. This proved a little more interesting, with a variety of answers. Jenkins was the tool most in favor, and featured in some 68% of the answers; some respondents also revealed they use a combination of tools, such as Jenkins with TeamCity (this post comparing the two might be of interest), and Jenkins with TravisCI. There were also additional tools used such as Bamboo, and even an internally developed solution from one respondent. The third question asked Have you considered using a SaaS solution for your CI needs? This met with a mixed response: some 63% said No, 31% said Yes, and 6% responded with Not Sure. Next up, we asked Did you use any of the following external services in the preparation for integrating CI in your development cycle? with a choice of one of these: 1) External consultant for methodology, 2) CI tool implementation, 3) Automation, or 4) Other. The results were very varied with a mix of all answers, including a few non-answers, but it was a close call between an external consultant (which got 9.5%) and CI tool (which got 9%). Our last question asked Do you monitor and report on your CI processes? The response here was fairly unanimous, with over 80% of respondents generating reports based on the Build and Test results. Some of those also collect stats of Build / Test success rates (although only 7% of those responding indicated that they only collect stats of Build / Test success rates). If you are interested in learning more about our CI expertise and how we can help your organization, please contact us NOW!